Sure, working at a restaurant can sometimes be a difficult job where you get asked some ridiculous questions, but at one fast-food chain, everything seems to be going right. 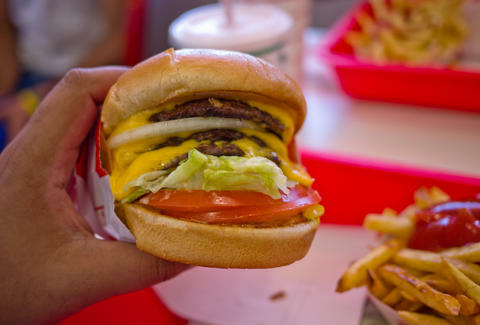 In-N-Out was recently ranked by career website Glassdoor as #8 on their list of the best places to work IN THE ENTIRE COUNTRY, beating out Facebook, Costco, and Apple. The chain is already pretty famous for treating its employees right (in addition to its customers -- can you say "free hats"?! ), but what really sets the In-N-Out folks apart is their starting wage ($10.50, more than $3 above the federal minimum) and the fact that they offer benefits to literally every employee, including part-timers. Plus, their burgers are damn delicious. Now if we could just get them to expand to the entire country. Adam Lapetina is a Food/Drink staff writer for Thrillist, and will have to cope with just ordering frozen In-N-Out via mail for now. Read his musings at @adamlapetina.